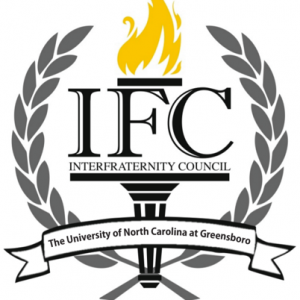 Fraternity and Sorority Life at UNC Greensboro is focused on academic achievement, leadership, service, and community. 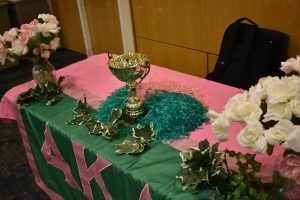 Each chapter has their own values, traditions, rituals, and expectations for their members, and those ideals are designed to develop well-rounded scholars who are successful at UNC Greensboro and beyond. The scorecard menus below are designed to provide a snapshot of key measures for each chapter to prospective members, parents, family members, and community members. Each scorecard has information about the chapter, including the numbers of members, academic standing and success, service and philanthropy information, conduct status, and awards and recognition. Campus Activities and Programs provides this information so you can compare chapters, view metrics about each chapter, and learn how the Fraternity and Sorority Life system benefits members, our UNC Greensboro community, and the greater Greensboro community. Contact Campus Activities and Programs if you have any questions or concerns. Suspension – Chapter has been removed from campus for a finite period of time, and may not function as a recognized student group. Expulsion – Chapter has been permanently removed from campus. These fraternities and sororities have lost their recognition within the past five (5) years. Total of active members, new members to the organization, and members removed during the reporting semester. The chapter’s semester GPA, cumulative GPA, and semester GPA for new members during the reporting semester. Chapters are required to maintain a 2.5 in order to remain in good academic standing. In compliance with the Family Educational Rights and Privacy Act (FERPA), averages are not reported for fewer than three members. The chapter’s community service hours and dollars raised towards philanthropy each semester, including a per member breakdown. Report of any violations of the Student Code of Conduct with which the chapter has been charged in the past five years. This will note if the chapter was found responsible.